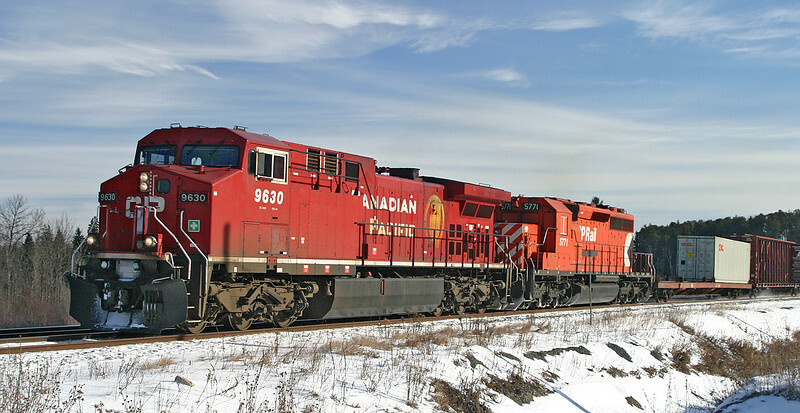 CP 9630, and CP 5771 at Barclay, Ontario. Locomotive 5771 is referred to as a 'slug'. The conductor and trainmans seats have been removed, along with other items in the cab. All that is left in the cab is the engineers seat and control stand in case the unit had to be moved with out the aid of another locomotive.